If you’re new to performance memory and like what Ballistix has to offer, the Crucial Ballistix Sport Series is a great place to start. Created for mainstream users and general enthusiasts, it’s priced affordably — so you can have your fun and stay on budget. It includes stylish new heat spreader design, standard timings and voltages, and offers broad system compatibility and easy installation. 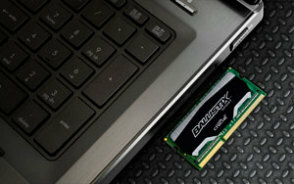 The Ballistix Sport Series memory is available in most common and popular speeds and densities. You’ll be sure to find a product that suits your needs. DDR3 PC3-12800 Engineered to operate at 1600MHz at standard timings of 9-9-9-24 and 1.35V, this 8GB Ballistix DDR3 memory module is ideal for DDR3 based Intel or AMD platforms and is guaranteed compatible. Performance Memory for Everyone The Ballistix Sport Series was created for mainstream users and gamers. These gaming modules feature heat spreaders for thermal performance — along with standard timings and voltages, delivering a reliable, quality RAM option that’s ideal for maximum stability and compatibility. Quick and Easy The Ballistix Sport Series features industry-standard specifications that require little or no tricky BIOS configuration. That means this product installs easily, so you can get up and running quickly. And because it supports the latest AMD and Intel platforms (including Sandy Bridge), Ballistix Sports Series memory works upon installation. Arm your laptop with Ballistix. Unleash the victor in your system. Designed to pack the power of Ballistix® into your gaming laptop, all-in-one, or mini ITX motherboard, Crucial® Ballistix® Sport SODIMMs arm your system with the speed, power, and efficiency to own your opponents from anywhere.1 Featuring XMP profiles, DDR3 speeds up to 1866MHz, and increased energy efficiency (1.35V vs. 1.5V) for longer battery life and extended gaming sessions, Ballistix Sport SODIMMs equip your rig to win.2 Optimized for the latest fourth-generation Intel® Core™ i5 and i7 mobile processors, Ballistix Sport SODIMMs deliver blazing-fast speeds, lower latencies, and increased efficiency compared to standard SODIMMs. Extend your battery life with Ballistix. Ballistix Sport SODIMMs are engineered to run on 1.35V instead of the standard 1.5V found in most laptop memory modules.2 This decrease in power is substantial – Ballistix Sport SODIMMs can reduce DRAM power consumption in your system by up to 10%. For laptop gamers, the benefits of increased efficiency are obvious: extended battery life, longer remote gaming sessions, and reduced need for cooling. Optimize your gaming with Ballistix. The performance of your system is often only as powerful and reliable as your memory. Every Ballistix module we manufacture has been tested to meet exacting specifications. If it doesn’t meet or exceed the performance levels that we advertise, then it doesn’t leave our doors. Your gaming requires precision for the cross hairs. That’s how we’ve built our memory for thirty years and counting. Crucial is a trusted name when it comes to DRAM, and that’s no coincidence. As a brand of Micron, one of the largest memory manufacturers in the world, we work with our engineers to design, refine, and manufacture DRAM upgrades for more than 50,000 systems. All Crucial DRAM is classified as premium-quality and is extensively tested for performance and reliability before, during, and after the production process. Backed by one of the industry’s most in-depth quality test programs, thirty years of manufacturing expertise, and a limited lifetime warranty, our modules are built to last. Faster, more responsive performance. Since Sport SODIMMs are a performance memory upgrade, they deliver faster speeds, lower latencies, and increased efficiency compared to standard SODIMMs. Translation: Ballistix Sport SODIMMs offer a more realistic gaming experience, reduced load times, and a competitive edge. More energy efficient for longer battery life. Running on 1.35V instead of 1.5V, Ballistix Sport SODIMMs allow you to squeeze more game out of each battery charge. XMP profiles for easy configuration and overclocking. The acronym says it all: XMP stands for extreme memory profile. Minimal to no BIOS adjustments necessary. Optimized for gaming processors. Ballistix Sport SODIMMs are engineered to take full advantage of the latest gaming processors from Intel and AMD.